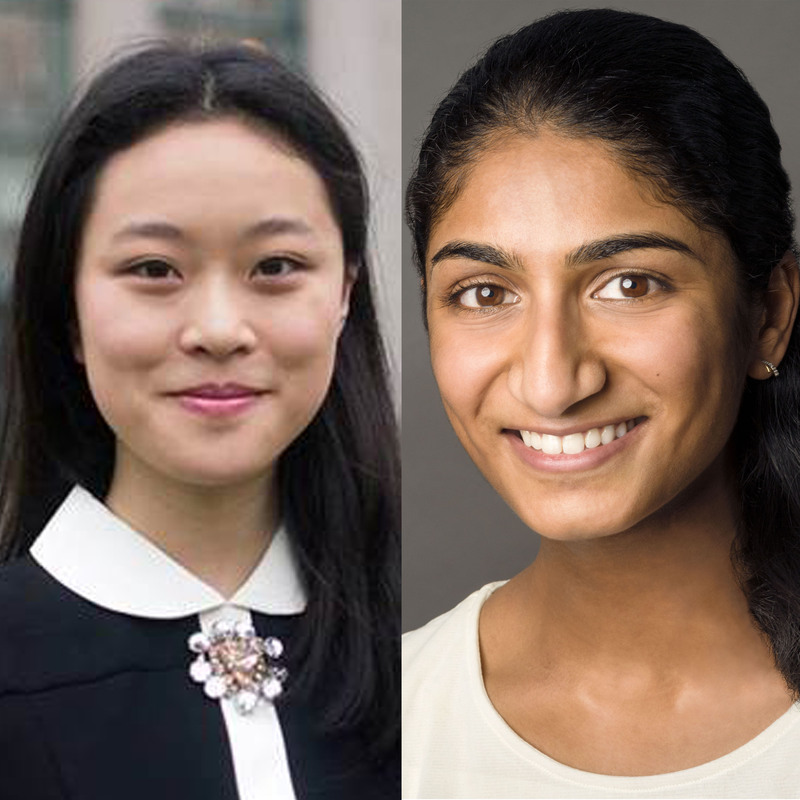 Huge congratulations to Suchita Nety ’13 and Angela Ma ’14 for being awarded 2018 Paul & Daisy Soros Fellowships for New Americans! This unique program honors 30 outstanding immigrants and children of immigrants who are pursuing graduate degrees in the United States. Each of the recipients, selected from more than 1,700 applicants, was chosen for his or her potential to make significant contributions to U.S. society, culture or his or her academic field. Recipients receive up to $90,000 in funding toward their education over two years. Nety’s and Ma’s complete bios are on the website, but here is a quick summary of what these women have been doing since leaving Harker. Ma’s award will support her in her pursuit of a Ph.D. in business economics at Harvard University. She has a bachelor’s degree in economics from Harvard, has been editor-in-chief of the Harvard Economics Review and is a John Harvard Scholar. Ma was an avid ballet dancer while at Harker, and she danced, choreographed and was treasurer for the Harvard Ballet Company. She plans to become an economics professor and is interested in financial crisis management. Nety will use the award to continue her work on a Ph.D. in biological engineering at MIT and an M.D. at Harvard. She earned a bachelor’s degree in chemistry from CalTech and spent four years working with protein-based reporters for ultrasound imaging, and earned a number of accolades including the 2016 George W. Housner Prize for Academic Excellence and Original Research, the Arie J. Haagen-Smit Memorial Award and the Hallett Smith Prize for Essay Devoted to Shakespeare. Along with her academic efforts, Nety has volunteered at a literacy nonprofit, attained professional status in Bharatanatyam, a style of Indian classical dance, and choreographs hip-hop. Her goal is to work with patients as an oncologist and develop molecular tools to assist in cell-based therapies.